Surge in TDVL issued for the month of April and for the 4M-18 period. TDVL issued in April 2018 is almost four times more than a year ago, while the cumulative number of TDVL issued for 4M-18 grew 114.4% YoY. The 410 TDVL issued in April exceeds the most recent high of 399 issued in April 2016. 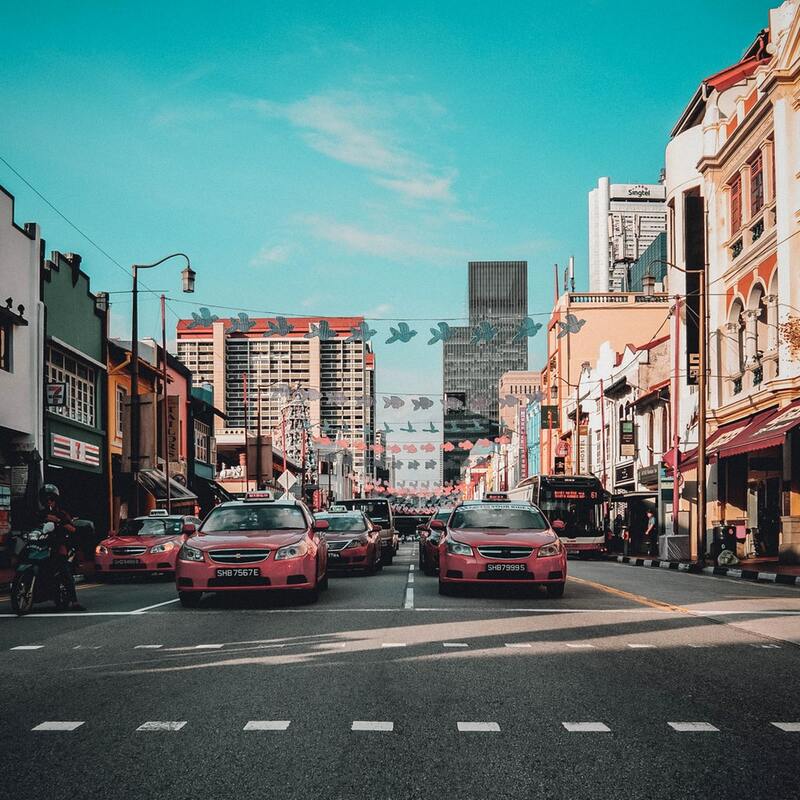 We believe this a reflection of the shift in demand to drive taxis; and corroborates the recent activity by ComfortDelGro to purchase 200 new hybrid taxis and calling for a tender to supply an additional 500 hybrid taxis. Existing private-hire drivers could be gravitating towards driving taxis instead. We recently highlighted in our Land Transport sector update (8 June) that 40% of private-hire car drivers have not attained their Private Hire Car Driver’s Vocational Licence (PDVL); and the deadline for doing so is 30 June. With the reduction in driver incentives by Grab, the viability of driving a taxi as a career with a stable income is becoming more attractive among existing private-hire drivers. We believe the surge in TDVLs issued is due to private-hire drivers intending to drive taxis instead and have decided not to attain the PDVL. Attrition has been higher than new issues, resulting in YTD net decrease in valid TDVL holders. Despite 1,368 new TDVLs issued during 4M-18, the number of valid TDVL holders has contracted by 190 or -0.2% YTD. The new issues so far has not been able to offset the natural attrition of licence expiries. 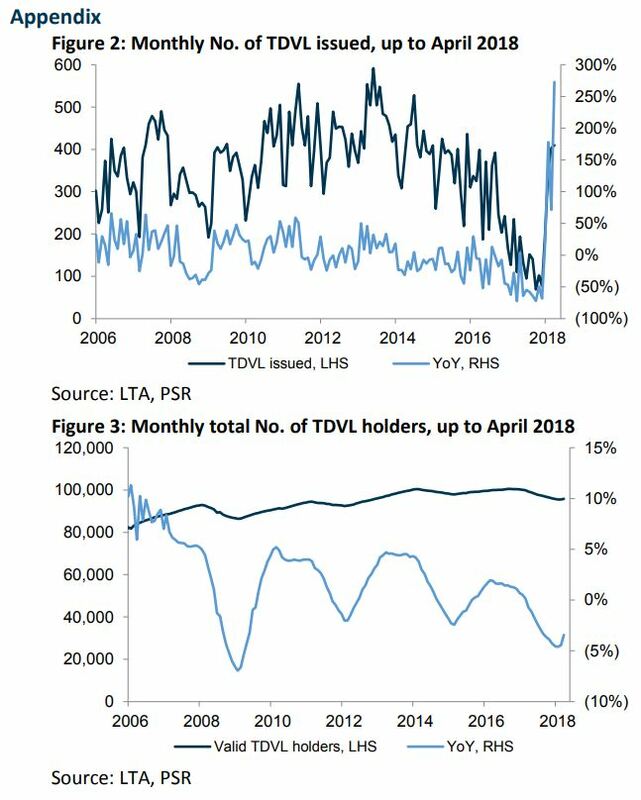 Going by the historical trend, we think a sustained average of about 400 new TDVLs monthly would be sufficient to reverse the decline and result in growth in number of valid TDVL holders. 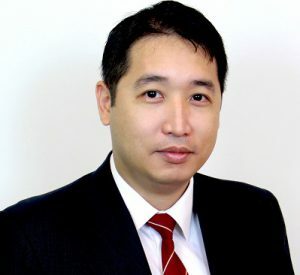 We maintain Overweight on the Land Transport sector, on the positive industry restructuring following the exit of Uber and the worst being over for the Taxi industry. We maintain our Accumulate rating on ComfortDelGro, with unchanged target price of $2.69.